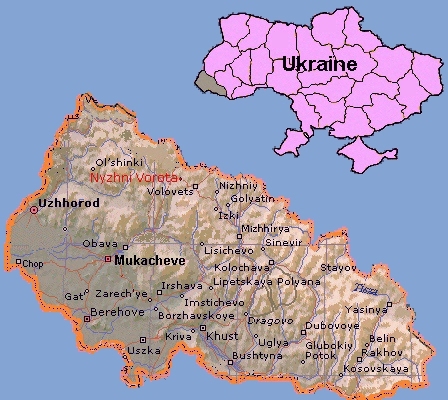 and, since 1991, known as Nyzhni Vorota, in the Volovets rayon (district) of Zakarpats'ka oblast (county) of Ukraine. Other spellings/names for Nyzhni Vorota are Wereczke Also, Nižní Verecky, Nizhni Veretski, Nizhniye Vorota and Verecky Nizni. 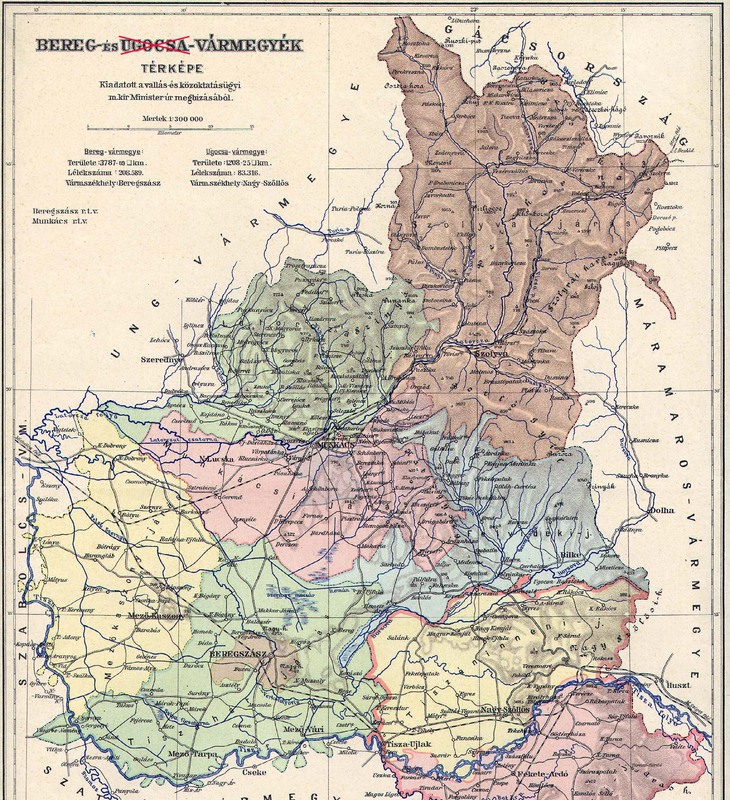 Nyzhni Vorota is located about 13 miles S of Uzhhorod (Ungvár) and 17 W of Mukacheve (Munkács). 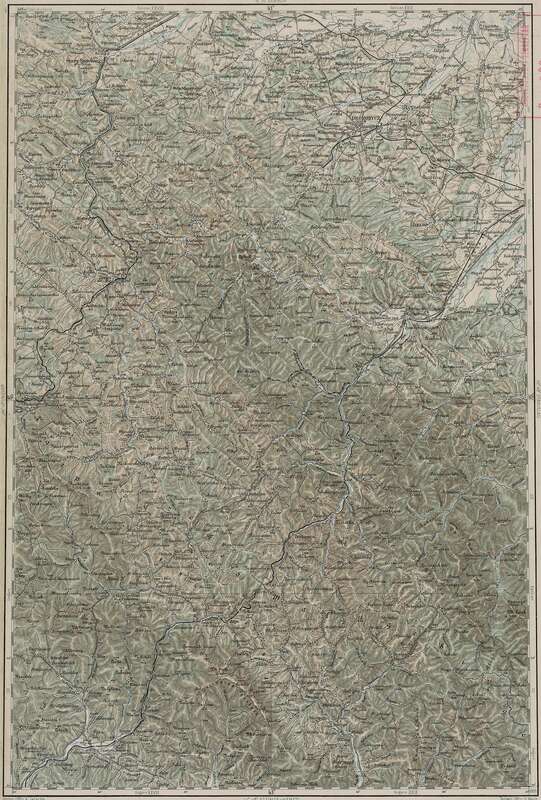 Jews probably settled in Nyzhni Vorota in the 18th century. In 1830, the Jewish population was 169. By 1880, the Jewish population was 545 (of a total population of 1,276). In 1921, during the Czechoslovakian period, the Jewish population rose to 633. By 1941, the Jewish population dropped to 582. Among the Jewish breadwinners were families that earned their livelihoods from 19 business establishments, 15 workshops and a few were farmers. There was also a Jewish owned bank. Among the Jewish political parties, Agudat Israel was prominent. With the Hungarian occupation of Nyzhni Vorota in March, 1939, Jews were persecuted and pushed out of their occupations. In 1941, dozens of Jews from Nyzhni Vorota were drafted into forced labor battalions and others were drafted for service on the Eastern front, where most died. In August, 1941, a number of Jewish families (totaling 80 persons) without Hungarian citizenship were expelled to Nazi occupied Ukrainian territory, to Kamenets-Podolski, and murdered there. The remaining Jews of Nyzhni Vorota, about 500, were deported to Auschwitz mid-May 1944. A few Jews joined the Czechoslovakian army created in the Soviet Union and fought against the Nazis. A great many of the Jews from Nyzhni Vorota were murdered in Auschwitz and a few survivors returned, but eventually settled elsewhere. In 2001, Nyzhni Vorota had about 2,504 inhabitants and no Jews live there today.